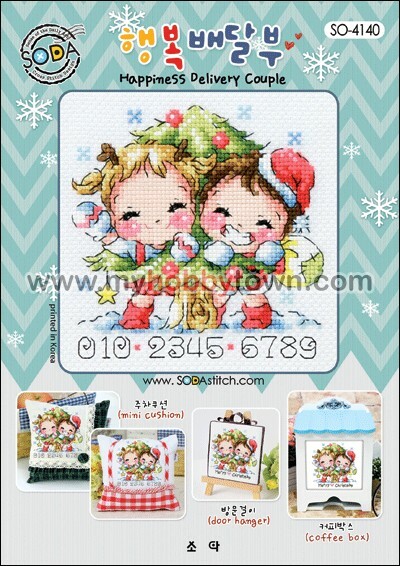 Sodastitch SO-4140 Cross Stitch Kit "Happiness Delivery Couple"
Sodastitch SO-4139 Cross Stitch Kit "A Little Witch Of The Night"
Details : Kit consists of original color pattern printed by Sodastitch (Korea), color printed thread pallette, DMC floss, needle, 14 count Korean Aida cloth, and instruction. Design size is 60w x 62h. 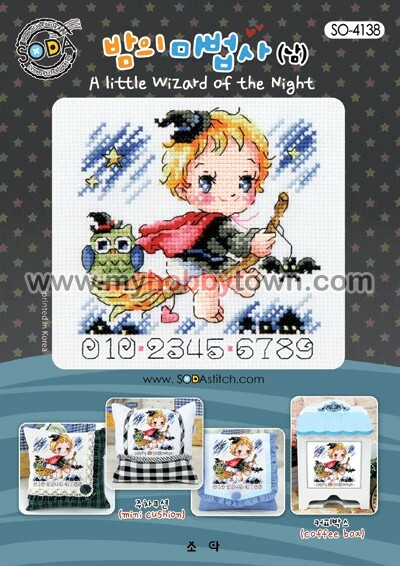 Sodastitch SO-4138 Cross Stitch Kit "A Little Wizard Of The Night"
Details : Kit consists of original color pattern printed by Sodastitch (Korea), color printed thread pallette, DMC floss, needle, 14 count Korean Aida cloth, and instruction. Design size is 60w x 63h. 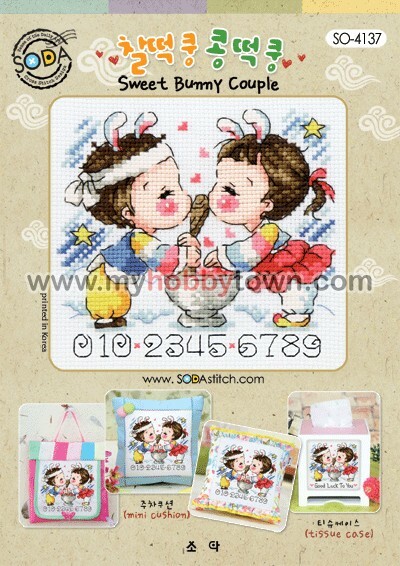 Sodastitch SO-3150 Cross Stitch Kit "Love Band"
Sodastitch SO-4137 Cross Stitch Kit "Sweet Bunny Couple"
Details : Kit consists of original color pattern printed by Sodastitch (Korea), color printed thread pallette, DMC floss, needle, 14 count Korean Aida cloth, and instruction. Design size is 64w x 58h. 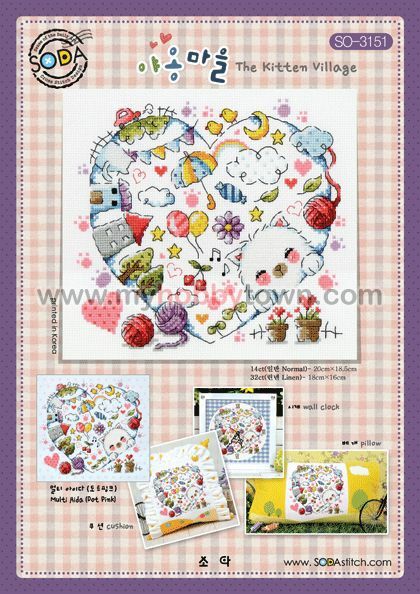 Sodastitch SO-3151 Cross Stitch Kit "The Kitten Village"
Details : Kit consists of original color pattern printed by Sodastitch (Korea), color printed thread pallette, DMC floss, needle, 14 count Korean Aida cloth, and instruction. 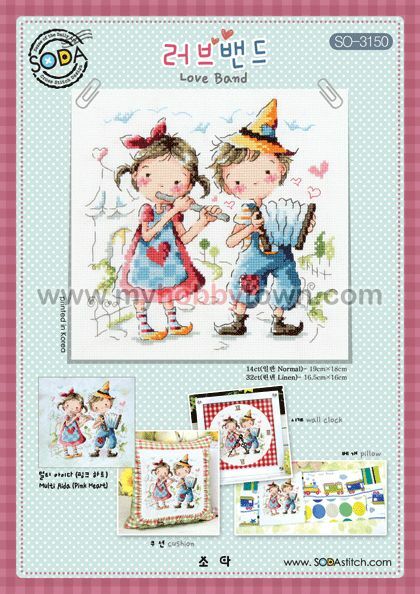 Design size is 113w x 102h.